New Orleans Pelicans superstar Anthony Davis wasn't traded before Thursday's deadline, but where he ends up this summer will remain one of the biggest storylines in the NBA. The Los Angeles Lakers' desire to land him is clear, while the Boston Celtics have long been rumored to be eager to part with many of their prized assets to acquire Davis. 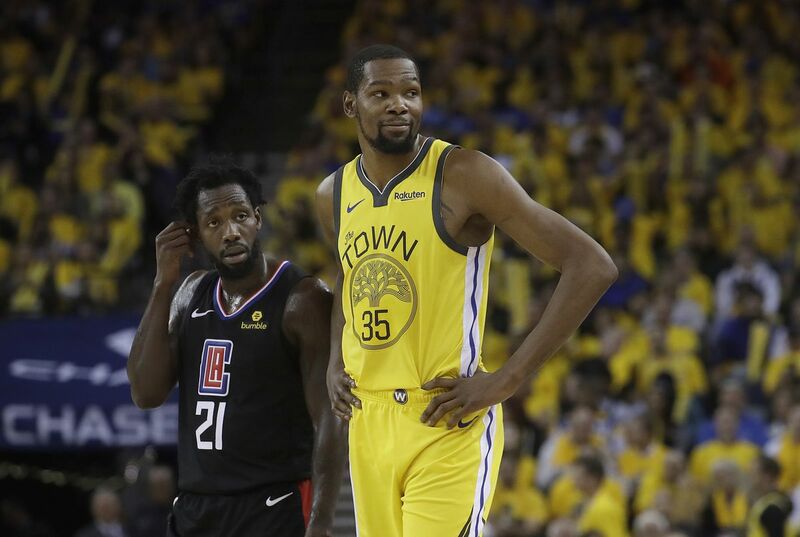 The Los Angeles Clippers acquired plenty of pieces this past week and could make a run at Davis, while a slew of other teams will surely make offers. The New York Knicks aren't to be ignored, either. Marc Berman of the New York Post wrote: "The Knicks have plenty of young assets the Pelicans would consider, according to a source. Along with a lottery pick in June and one of the two Dallas first-rounders, the Pelicans can choose between two of the following: Dennis Smith Jr., Kevin Knox, Frank Ntilikina, Mitchell Robinson and Damyean Dotson." Berman added that if the Knicks land a top-two pick in this year's draft, "the Pelicans will pay attention to them on draft night." The Knicks reportedly already made a pass at Davis, but the Pelicans weren't interested in a package centered around Kristaps Porzingis, per Berman. Without the Knicks in play, the Celtics would likely have the best offer, even if they don't include Jayson Tatum. They have a number of future first-rounders at their disposal and intriguing young players in Jaylen Brown and Terry Rozier. But if the Knicks can offer the Pelicans the chance to land Zion Williamson this season, a future first-rounder, and some combination of Smith, Knox and Mitchell, that will be tough to top. Depending on how the Pelicans view both Williamson and Tatum, it may not be an offer the Celtics can match. The title race for next season and beyond could hang in the balance. If the Celtics acquire Davis, it might be enough to convince Kyrie Irving to re-sign. If Davis heads to New York, however, Irving could follow. While Irving isn't attached to Davis' landing spot, it's hard to imagine it won't at least play some factor in his decision. The dream for Knicks fans will be trading for Davis before turning around and signing both Irving and Kevin Durant, forming one of the most feared Big Threes in NBA history. But if Davis and Irving end up in Boston, where will Durant go? Will he try to recruit a different free agent—Kawhi Leonard, Jimmy Butler, Kemba Walker or Klay Thompson—to join him with the Knicks? Will he decide to keep the band together in Golden State? Or will he try to build a new dynasty with the Los Angeles Clippers or join forces with LeBron James on the Lakers? Davis is likely going to be the first domino to fall, and what transpires after will shake the league's power dynamics for years to come. That makes this year's draft lottery one of the most important in years, with the Knicks at the center of it all.